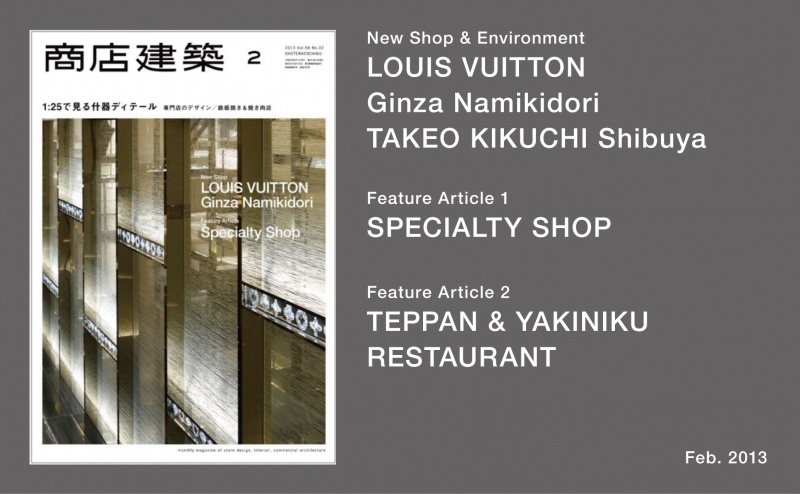 SHOTENKENCHIKU is the only magazine which has been dedicating to Japanese store design and commercial architecture since 1956. 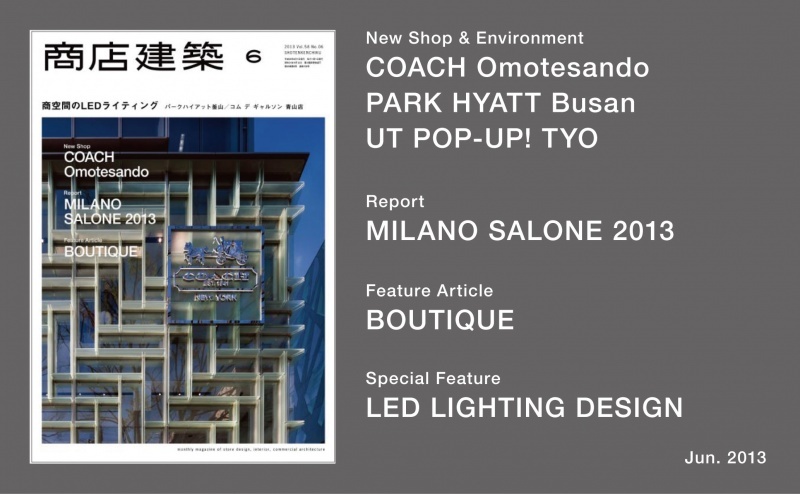 The magazine offers readers the very latest interior designs of restaurants, hotels, fashion stores, hair salons, etc with many pictures, detailed floor plans and information of main materials. It is considered to be a must-read for architects, interior designers. SHOTENKENCHIKU-SHA Publishing Company.,Ltd. comply with all the laws and statutes pertaining to the practice of privacy protection. When collecting private information, we will inform the purpose in advance and we strictly promote the proper utilization of that particular private information. Private information is not disclosed to the third party without informant's approval or legitimate reason stated by the law. We implement precautionary measures to prevent falsification of private information, leakage, and unrighteous access. Interior design magazine, "I'm home." had launched since January, 2000, having a theme of "high-end design and lifestyle". As the word speaks for itself, the magazine targets the high-end reading population who are conscious about their lifestyle, "high-quality & authenticity". We propose the idea of "comfort" within residence, incorporating new things while referring to the good, old style. 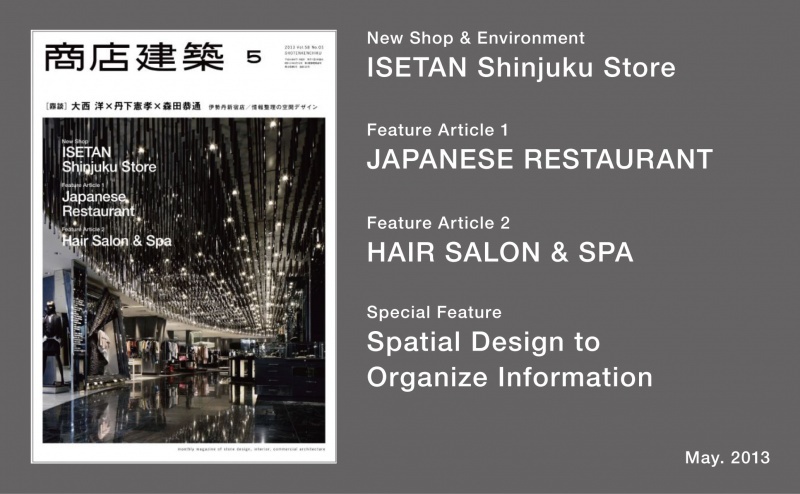 SPECIAL ISSUE AND EXTRA NUMBER : SHOTENKENCHIKU's Special Issue and Extra number is about Dental Clinic Design, Detail of Store Design, Fa_ade Design, Lighting Design, etc. 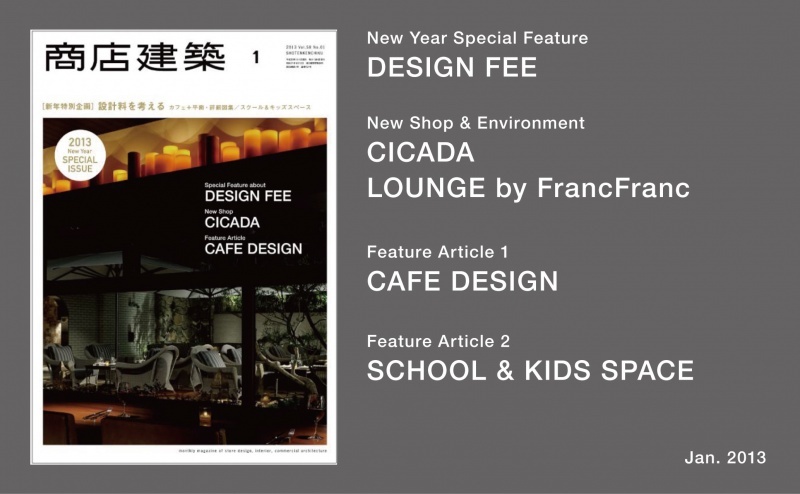 SHOTENKENCHIKU SHOP DESIGN SERIES : Special Issue of Cafe, Restaurant, Bar, Hotel, Fashion Store, Hair Salon, etc. 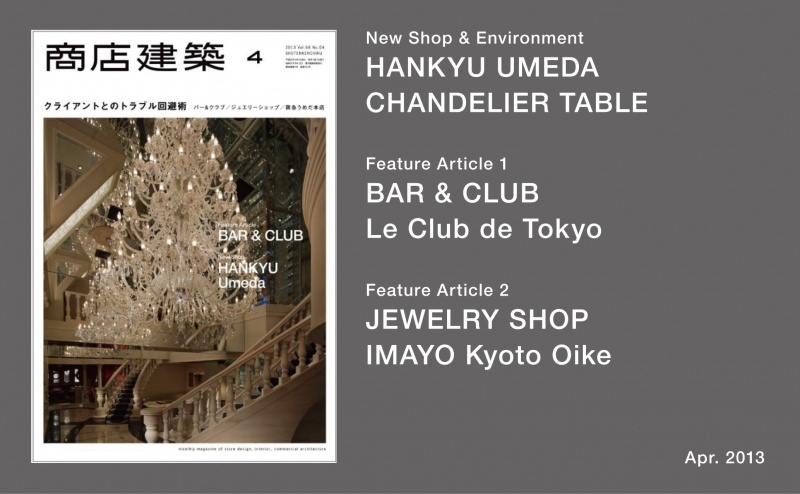 DESIGNER'S SHOWCASE SERIES: Photo Book of Japanese Interior Designers. To purchase back numbers from overseas, please order from the following website. For overseas subscription and order,please contact to the following.